After exiting the station in February 2013 following a 27 year run including 18 in afternoon drive, Glenn Ordway is coming home to Entercom Sports 93.7 WEEI-FM Boston. 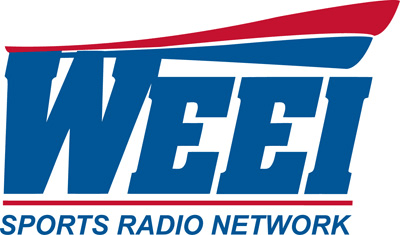 Ordway will rejoin WEEI on Tuesday, September 8 as the new 10am-2pm co-host at the station joining former New England Patriot Christian Fauria and former Boston Red Sox Lou Merloni. He takes the spot that had been held by Tim Benz. Benz exited WEEI in July to be closer to his family in Pittsburgh. While away from WEEI, Ordway hosted a daily streaming show that had a couple terrestrial affiliates and did a weekend show for SiriusXM. After months of speculation and trial pairings with sundry partners, Glenn Ordway is back full-time at WEEI. The former titan of Boston sports talk radio, who most recently hosted his own Internet-based sports program, will soon return to the microphone he commanded for close to two decades. In his new role, Ordway will join former Boston Red Sox infielder Lou Merloni and ex-New England Patriot Christian Fauria weekdays from 10 a.m. to 2 p.m. The program will air locally on WEEI 93.7 FM as well as across New England on the WEEI Sports Radio Network and via live digital stream at WEEI.com. For 18 years, Ordway hosted the ground-breaking and highly rated “Big Show With The Big O” on WEEI and was also radio voice for the Boston Celtics during the Larry Bird era. He is a three-time Marconi Award nominee and is regularly heard nationwide on Sirius XM Radio. Ordway has also handled radio broadcast duties for the Boston Bruins, NBA Radio and ESPN Radio and is a familiar presence on Comcast Sports Network New England. According to the Spring 2015 ratings from Nielsen Research, 23 percent of all Bostonians age 12 and older tune to sports talk radio every week, the highest per capita percentage of the top-50 media markets. Ordway begins his new duties on Tuesday, Sept. 8.